Our 300+ members are the heart of AHRI. Their industry knowledge and expertise support AHRI’s many programs. And while AHRI provides a single voice for the industry, it represents hundreds of member companies, each with its own history. Below are the first in a series of profiles of AHRI member companies highlighting the role each of them play in supporting the industry and truly making life better. Member companies interested in completing a profile for this series should contact Monica Cardenas at MCardenas@ahrinet.org. In what year was Clima-Flex founded, and how has the business evolved since then? 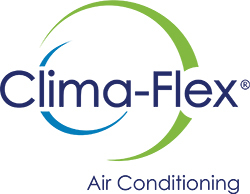 Clima-Flex was founded in 1997. In the beginning the company would modify existing HVAC products in a very modest installation in Mexico City. Since then Clima-Flex has grown into a multi-million dollar company that manufactures several product lines that range from modular chillers of different capacities (from 3TR to 350TR) to variable F&Cs and AHUs doing in-house engineering and proprietary design in a state-of-the-art 130,000 sq ft industrial facility in San Luis Potosi, Mexico. In 2018 we will be opening our second manufacturing facility and distribution center with an additional 180,000 sq ft. Clima-Flex products are exported to the entire American continent. AHRI’s tagline is “we make life better,” while one of Clima-Flex’s objectives is improved quality of life, in addition to integrity, creativity, teamwork, discipline and flexibility. How do you do work toward a better quality of life for your customers? At Clima-Flex we take quality assurance very seriously and focus on quality not just on the final manufactured product but on all the processes that lead to a unit being shipped from our warehouse. From received goods to engineering and design to post sale customer care and assistance. To help us along in this effort our entire business and all process steps are certified under ISO 9001:2015. We believe that quality focused products increase the quality of life of the end user by providing many years of service and high performance. According to your website, Clima-Flex has manufactured products for projects all over the world. Tell us about a recent stand-out project. Clima-Flex has had the honor of being specified in many iconic and challenging projects. Because of the modular design and reduced foot-print of our units we can go where most other brands can’t. For example, in 2016 we installed 200+ cooling tons in a building dating from 1775 declared as Human Heritage by UNESCO in the heart of Mexico City. This building at one point had been the house of Spanish conquistador Hernan Cortes. Because of the historical value of the building the contractor was not allowed to modify or disrupt the structure in any way. The job was accomplished using air to water chillers from our CLIM Axial Family in different tandem installations. Another challenging and iconic project is Toreo Parque Central, a 750,000 sq ft mix use complex with an enclosed shopping center, offices and hotels located just outside the Mexico City limits. We installed 265+ CLIM water-to-water chillers for a total of over 3,200 cooling tons. The units were installed in a small space between each floor to save real state space, because of the size constraints we had to re-design and customize the units. What value do you find in your AHRI membership? What is the most significant benefit of AHRI for your business? Being AHRI certified is a validation of our engineering and design efforts that allow us to keep innovating with our products and technology with the assurance that our units perform correctly under the strictest guidelines of the industry while at the same time providing our customers the security and confidence that our products comply with the published performance, efficiency and quality. For us AHRI is a no-worries-product badge. Ziehl-Abegg has a global reach and manufactures a variety of products, but the biggest is ventilation. How have your fans evolved since the company was founded in the early 1900s? Ziehl-Abegg first began as a motor manufacturer. Efficiency in motors was, and will remain, our core competence. However, it did not take long to see the potential in ventilation. Wings were attached to our efficient motors and this is how we first entered the ventilation field. In the late 1950s we started using an 1897 invention by Emil Ziehl: an external rotor motor as a fan drive. In the 1980s, EC (electrically commutated) motors were introduced for ventilation technology, and Ziehl-Abegg applied EC technology to fans. In the 90s, in pursuit of further efficiency and to reduce noise, the blades were sickled. The new millennia brought new innovations. Inspired by the owl, the most silent predator, we presented the Owlet fan in 2006. The blades with serrated edges minimize noise while moving larger volumes of air. In 2015 we introduced the ZAvblue, a radial fan with the bionic principles imitating a tree’s limb growth. This helps reduce material usage while maintaining high volume flows. Last year, we drew inspiration from the humpback whale and developed the ZAbluefin, with similar protusions to the ones found in the whale’s fins, reducing possible flow tear-off and allowing the use of the fan in many pressure range requirements. We have also started to look at new materials. Our composite material ZAmid is as resistant as steel - while lighter. In 2013 we developed a Bio-Fan made entirely of castor oil, a bio-polymer. Training and education is an important component of Ziehl-Abegg’s business. How has your training program worked to address the impending skills gap in our industry? In Germany, close to 10% of our workforce consists of trainees and apprentices. With us, they not only learn a trade or a skill, but we try to broaden their horizons as well. As an international company, we regularly send our trainees and apprentices abroad so that they can see how our other subsidiaries work. Our goal is for them to stay in the company, so we are not afraid of investing in their education. We would like to replicate that success here in the U.S. We are pursuing apprentices through local partnerships. Apprentices will be trained and educated in our U.S. production facility. They have the unique advantage of receiving their college degree while also gaining experience in the work force. Education is not reserved for apprentices. We believe in life-long learning, so all of our employees receive continuous training. This is the only way we can keep producing highly innovative fans and motors. Our commitment to life-long learning doesn’t end within our own company. With a training station in our U.S headquarters we offer customers and other members of the industry the opportunity to learn about our new developments and the newest technology used in the HVAC field. We also offer on-site training, as many applications can be better measured on the field. We actively search for partnerships with universities and similar institutions, so that we can help form the new generation of the industry. Recently, Ziehl-Abegg won Fan of the Year and Best Electric Motor from Plus X Awards. Can you tell us more about these awards? We are very proud to have won the award five years in a row. The Plus X Awards are a symbol of quality and it is an honor to be in the ranks of fellow winners Audi and Mercedes Benz. In the ventilation category, we have won the award for our bionic products: ZAplus system (our bionic Owlet fan with an optimized full nozzle); bionic bio-fan (made out of castor oil); ZAvblue (bionic radial fan inspired by tree’s growth); the ZAbluefin;and this year with ZAcube. AHRI keeps us up to date with all the relevant information about the industry. Its education and training initiatives help strengthen the industry and pave the way for further innovation. The networking possibilities are also very attractive. We are new AHRI members, so we are looking forward to experiencing the full benefits of membership. ebm-papst is an innovator in fans, blowers, and motors with core competencies in motor technology, aerodynamics, and electronics. After more than fifty years in business, how does the company’s history influence the path forward? ebm-papst has always been an innovator, and we continue to build upon that strength and lead in our industry with innovative, functional, and energy saving designs. With over 15,000 products, we provide solutions to a wide range of markets including air-conditioning and ventilation, appliance, commercial refrigeration, heating, industrial, lighting, it / telecom, medical, transportation and more. Energy efficiency is of particular concern to ebm-papst. What are your most recent developments in this area and how do they impact energy usage? The majority of our product range is available with GreenTech, our electronically commutated (EC) technology. GreenTech EC motors deliver unparalleled energy efficiency when compared to conventional alternating current (AC) motor technology. With wear-free and maintenance-free performance, long service life, low noise, intelligent electronic control, and high aerodynamic efficiency, GreenTech EC motors from ebm-papst are the future of air moving technology. One of the exciting things about working in this industry is the pace of technological advancement. How do you stay ahead of the curve and utilize new technology? ebm-papst has over 650 engineers and over 1,000 patents held in design. At the heart of our design process is our GreenTech philosophy and company principle: "Each new product that we develop has to be better than its predecessor in terms of economy and ecology." ebm-papst globally has been thinking and acting in accordance with this principle for decades – long before the words "ecology" and “green” became catchwords. Our commitment and innovation redefine standards with ever more powerful and efficient motors and fans that raise the bar ever higher. Earlier this year, you won a special mention in the energy category at the Germany Design Awards. Can you tell us about the product that won and why it was selected? The product is our AxiBlade axial fan, and it won the 2017 iF Design Award in the "Product" category. ebm-papst developed AxiBlade especially for use in evaporators, condensers and heat exchangers that are integrated into ventilation, refrigeration, and air conditioning systems. Thanks to its modular concept and GreenTech EC technology, AxiBlade functions with an optimum efficiency of up to 54% vs. our previous generation fan in a wide variety of applications. In addition to energy efficiency & performance it has been recognized for its outstanding design. In particular we find AHRI to be a great venue for networking, and we appreciate being able to participate in the creation of product standards. A significant benefit of AHRI is it’s a good source for the latest in legislation and how that may impact ebm-papst, our customers, and our industry. Our most impressive accomplishment over the last 135 years has to be maintaining our legacy as cast-iron pioneers while investing heavily in high-efficiency technology and channel support capabilities to offer our customers a full range of products and solutions. Just this past year, we introduced our most advanced high-efficiency condensing boiler, the 95-96.5 percent AFUE Evergreen®. The Evergreen has become a contractor favorite and is now an award-winning product, earning The Air Conditioning, Heating & Refrigeration News’ 2016 Dealer Design Gold Award in the HVAC Light Commercial category. We also recently enhanced our line of popular SlimFit® high-efficiency condensing gas boilers with improved controls, communication, and usability. Some companies with as long a history as Weil-McLain struggle to adapt to a changing market. How do you keep from getting complacent? What are some of the ways you stay abreast of evolving market forces? Weil-McLain’s strategy for evolving with the market has three main elements. The first is continuing to improve the basic cost/quality delivery equation for our customers. That ranges from the product itself and the value it provides to end users and channel partners, as well as the broader customer experience. The second is a focused effort around evolving channel relationships to provide direct, positive results with contractors and end-users. That includes utilizing the company’s marketing analytics capabilities, technical expertise, and application knowledge in ways that directly benefit homeowners, building/facility managers, and, of course, contractors. We know the contractor has a tremendous influence over the sale and support of these products. Through the company’s School of Better Heating Program, and through a partnership with North American Technician Excellence (NATE), Weil-McLain is committed to building on its position as a knowledge leader within the industry. This means not only having the answers to key questions, but also delivering information to the right person at the right time in just the way they need it. For example, many of our contracting partners are small, family-owned, multi-generational businesses. The successor generation, in a lot of cases, may communicate in differently than the predecessor generation. As a result, Weil-McLain strives to facilitate all forms of communication, from smartphones to PDF downloads. If that partner wants a voice on the phone, a text on their smartphone, or to download a pdf, Weil-McLain makes it easy for that to happen. And the third area is on the product level, built around technology and innovation. Throughout the 20th century, Weil-McLain grew to be the largest U.S. manufacturer of cast iron boilers and a leader in the hydronic industry. Our Michigan City, Indiana location continues its cast iron foundry operations and houses a state-of-the-art laboratory and testing facilities alongside an engineering and development center. In 2005, Weil-McLain opened a second manufacturing and training location in Eden, North Carolina and a distribution center on the East Coast. In 2012, Weil-McLain opened an administrative office in Burr Ridge, Illinois. Weil-McLain has had significant milestones over the years. We developed the first “wet base” boiler that eliminated the need for a separate base and combustion chamber. We introduced the first commercial boiler to be offered with factory-assembled sections. We also manufactured the first ultraviolet control system for an atmospheric gas commercial boiler. In addition, we were the first company to factory “fire test” package residential boilers. In 1997, Weil-McLain was the first major U.S. boiler manufacturer to receive the ENERGY STAR “Partner of the Year” Award. Can you tell us about the work you did to earn this recognition? Weil-McLain has been consistently setting and achieving aggressive engineering and design goals while employing innovative energy efficiency approaches. Our GV® boiler, with 87 percent AFUE, was one of the highest efficiency boilers at the time we received the award. In 1997, we earned this honor for demonstrating a commitment to energy conservation through portfolio-wide efforts. Can you describe the meaning behind Weil-McLain’s tagline, “Simplified Solutions for our Complex World” and how your company works to live up to this pledge? The tagline reflects our focus on: (1) understanding the evolving needs of our customers in an increasingly complex, interconnected, fast-paced environment; (2) innovating with new products and services to help our customers solve real problems and making their lives easier; and (3) continuously improving our customer experience and decision-making journeys with best-in-class application knowledge and responsiveness. AHRI offers a host of benefits to its members, including navigation of the regulatory environment and statistical programs. The institute has been valuable as an impartial advocate for our business and a resource for educational programs, training initiatives, networking opportunities, and research. As a leader in energy efficient heating and ventilation technologies, what advice do you give building owners about the benefit of installing new HVAC systems? First, a building owner should identify what is most important to their system design. This could include process/manufacturing exhaust, indoor air quality, safety for employees, thermal comfort, and working conditions during the heat and/or cold seasons in the facility. Second, a building owner should identify what objectives are important with respect to energy efficiency and operational costs. When evaluating total cost of ownership, upfront equipment costs and installation costs are extremely important, but operating costs for building systems far outpace this initial cost. It is also important to consider the timeframe within which the owner can expect to gain a return on an energy efficiency HVAC investment. Superior systems may cost marginally more on the front-end, but result in dramatic long-term value to building owners and operational managers. An owner should also be prepared to answer whether the total life cycle costs are important considerations in choosing the system. Many employees in your organization reference LEAN leadership as the guiding principle behind your work. Can you tell us about the components of LEAN? LEAN is a philosophy of continuous improvement. Every product and process within our manufacturing organization can be viewed through the lens of LEAN for continuous improvement. One of the biggest components of LEAN for Cambridge Engineering is recognizing that every member of our team has employee genius that they can share on how to do their daily activities better. By encouraging them to think about what is wasteful in their daily activities, and making changes to eliminate that waste (i.e., continuous improvement), we are actually helping our people grow, and that’s really what matters the most. One of the biggest benefits of being an AHRI member is the ability to build relationships and network with industry peers at different AHRI events throughout the year. The Annual Meeting is always a great place to meet with those who share a similar interest in improving the HVAC industry while building long-lasting relationships that continue well after the event is over. Learn more at www.cambridge-eng.com and www.blog.cambridge-eng.com. Please provide our readers with a little background about SEMCO, including the company’s history and the products and services you offer to customers. SEMCO is a manufacturer of indoor air quality products. Established in 1963, the focus of SEMCO has been to pioneer new products and innovate air transportation and conditioning products for the betterment of our clients. SEMCO started off building ductwork and then branched out into custom air houses, acoustical panels, sound attenuators, energy recovery wheels, and dedicated outside air systems over the first 40 years. Fläkt Woods acquired SEMCO in 2008 and added chilled beams to its manufacturing capability. This increased the range of efforts that SEMCO placed on building indoor air quality and allowed for SEMCO to directly impact room comfort rather than just transporting air or treating ventilation. SEMCO has endeavored to always provide a system approach to building comfort, and to understand the impact its products have on other equipment within a building. Developing the AHR Innovation Award-Winning NEUTON and ASCENDANT products further demonstrate SEMCO's commitment to improved indoor air quality and energy efficiency. SEMCO received a 2016 AHR Expo Innovation Award in the Indoor Air Quality and Plumbing categories for its ASCENDANT™ Series active desiccant hybrid system and NEUTON controlled chilled pump module, respectively. Tell us what makes these products especially noteworthy. NEUTON is the industry's first and only smart, plug-and-play proactive condensation control device for active chilled beams. It is a factory-built and pre-tested controlled chilled beam pump module package complete with its own powered integrated direct digital controller, chilled and hot water connections, valves, variable-speed electronically commutated (EC) motor pumps, smart sensors, and other unique features. ASCENDANT is a conventional cooling, active desiccant hybrid system, performance optimized to deliver and control low dewpoint air while minimizing energy input. A highly efficient system, ASCENDANT delivers low dewpoints (down to 20˚F) while minimizing the tons of cooling input. It operates with 25 to 50 percent less energy cost than conventional refrigeration-based dehumidification systems. What do you see as the emerging trends and technology in the HVACR and water heating industry? Indoor air quality is always under scrutiny. ASHRAE continues to amend and improve standards that help building occupants with regards to healthy buildings, but also work to improve the environment though energy savings standards; it can sometimes prove difficult to satisfy both indoor air quality and energy savings. With these two aspects of standards becoming even more complex, innovation is the only means through which we will be able to satisfy the ever evolving requirements. The biggest benefit of being a part of AHRI is the ability to show customers that our products operate as we state by having the full force of AHRI certification backing our performance. It gives customers confidence in our products. Furthermore, membership allows us to communicate with other manufacturers in the industry to achieve common goals, from responding to regulations to determining a specific direction for the industry that will benefit us as a whole.